A common misconception with pet owners is that your local vet is the best option. This isn’t always the case. Getting to a vet fast in an emergency is important, but what happens if the pet care you receive is not up to scratch, then the speed in which you reach it won’t change a thing. At Fox Valley Animal Hospital, we welcome pets from Wahroonga as it’s our local catchment. But we also have clients as far away as Kellyville Ridge, Beecroft and beyond. The reason we don’t discriminate is we know that the pet care you seek isn’t determined by its location. From new puppy or kitten through to elderly pet, you want to be able to help with your pet’s health. In fact, as a pet owner, it’s super important that you are involved. Maintaining pet health doesn’t come down to yearly check-ups, inoculations and emergency support. Your pet needs things to ensure its health that only you and your family can give. Enrichment and stimulation support learning avoid boredom and reduce pet stress. Training and learning can keep your pet safe and out of mischief as well as give them a sense of pride and achievement. Eating well means choosing the right foods and providing access to diet and nutrition that supports their lifestyle. Exercise helps aid in fitness, mental stimulation and giving your pet another opportunity to reduce stress. Socialisation with people and other pets alike also impact their worldview and ability to navigate their place in the world. Bathing and general cleanliness, including provision of flea and tick treatments, determines the health and comfort levels of their coat and skin. Without your support in these areas at home, maintaining a proper pet care regime and your pet’s health is impossible. That’s why it’s so important that your chosen vet makes room for you in the decision making surrounding your pet’s everyday care. If your vet makes decisions that cost too much for your budget, are products that are difficult to source, or create difficulty with you following the instructions, speak up. A great vet will work with you to create a health plan you can activate at home. You shouldn’t be expected to have the handle on all aspects of veterinary medicine. That’s our job as your vet. And it’s our job as that vet to explain the options to you. Your vet should spend time educating you on the treatment options available to you in every circumstance. This includes accidents and emergencies. You wouldn’t settle for a doctor performing surgery or prescribing treatment that didn’t answer questions or share their plan with you. You shouldn’t accept that with your vet and their treatment of your pets either. When you are unsure of what treatment option is the best, ask. Feel to ask what factors are considered when choosing that option. Make sure you know that the pet care you are about to obtain is something you agree to and understand. Veterinary medicine is like any other form of medicine. There are always new and improved drug treatments on the market. 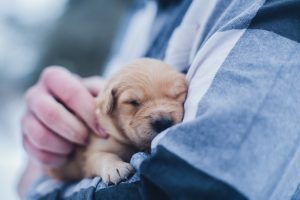 There are also relationships that can help support your pet care and agreement between providers to help maintain healthcare for your family pet. These may include specialist vets, surgical options for your pet, animal behaviourists and a variety of treatments that help support the overall care you pet receives. These relationships can be in the best interest of your pet. They can also be in the best interest of the pet healthcare provider. At Fox Valley Animal Hospital, we continue to remain independent because we don’t want our friendships with businesses and other pet healthcare providers to call the shots when it comes to your pet’s treatment. Our drugs are chosen because they are the most effective treatment, not because someone turns up with goodies or a contract. The veterinary specialists and other supporting businesses in pet healthcare are chosen for their skill, proficiency and ability. Not because they remunerate us if we refer to them. Big chain veterinary surgeries may not enjoy the flexibility the independent vets do. Their financial relationships may influence the treatment plans they suggest to you. While this may help in some areas like bulk buying lowering cost, it may also mean your pet doesn’t get some options because they don’t support the business relationship in play. If in doubt, make sure you ask if it is the best possible treatment available. Don’t be afraid to ask if there is a sponsorship or any kind of non-competition arrangement with the medicines and pet healthcare products your vet carries. All pets can experience trepidation and fear when they are poorly. An injury, sickness, disease or even the concern of being in unfamiliar surroundings can all impact your pet. However, there’s a limit to the fear your pet should feel. And this comes down largely to the management by your veterinary hospital and especially, the vet nurses. At Fox Valley Animal Hospital, we do a few things to minimise pet fear when undergoing treatment. We have a great vet nurse to patient ratio. This means that all our vets are adequately supported by a vet nurse who can encourage your pet, be there for them and give them comfort. It also means our vets can focus on the medicine. The vet nurses aren’t over-stretched and stressed. This is so important because it means your pet will sense a calming vibe and won’t be agitated by an anxious human encounter. We also allow animals at our animal hospital. Our staff are free to bring in their pets. Dr Alex’s dogs Heather and Neneh have both acted as vet nurses in their time. This helps give the pets a friendly fur face to affirm things are safe. Another aspect is all our vets and vet nurses are trained in techniques to lower stress. From distraction to picking up early warning signs of distress, allowing pets to roam in consult rooms to get comfortable through to lots of love and treats, we ensure every pet has as pleasing a time as possible. We can do this because we allow the budget for enough staff as well as enough time between patients. Even on our busiest days, we work hard to ensure your pet gets a positive veterinary experience. If you feel hurried or as though your vet clinic is chaotic, your pet may pick up on this. Don’t forget both you and your pet deserve the right to feel taken care of. If you walk into your pet and see the same faces between monthly or yearly visits, chances are something positive is happening with the working culture of that veterinary hospital. If the culture is positive, so too is the pet care. Take a look at your vets and their qualifications, skills and yes, their age. Are you dealing with vets that have experience? Is there an investment in ensuring younger vets learn from more senior ones as part of the process? Are vet nurses staying at your vet clinic and is their skill set growing? Recognising faces and seeing a mix of old and young faces means you have an animal hospital that encourages staff to stay. It also means they are willing to pay the wages required to keep skilled and experienced vets and vet nurses on the team. This in turn translates into better care for your family pet. If you hear stories about the latest conference, training and new achievement from your vets and vet nurses on their social media and/or when you visit, this is a good sign. Continuous learning and a team that stays together to advance their career means you receive consistent pet care. It also means that when an emergency strikes, you have a veterinary healthcare team that knows how to work together. And they can pick up things’ others may miss through a lack of experience or simpatico. Not all vets and vet nurses are created equal. A lot of that is also down to how much opportunity they have to grow and learn in a supportive environment. Look for connection between the team you visit and enjoy the difference. Think about the best sort of outcomes for your pet. Most pet parents want a healthy, happy, injury-free pet with a long and active life. By finding the vet that focuses on empowering you to look after your pet well, you make this a reality. Your pet is important to you. Always feel free to question the quality of your pet care and make fully informed choices about that care. Especially when it comes to rationale and motivations.